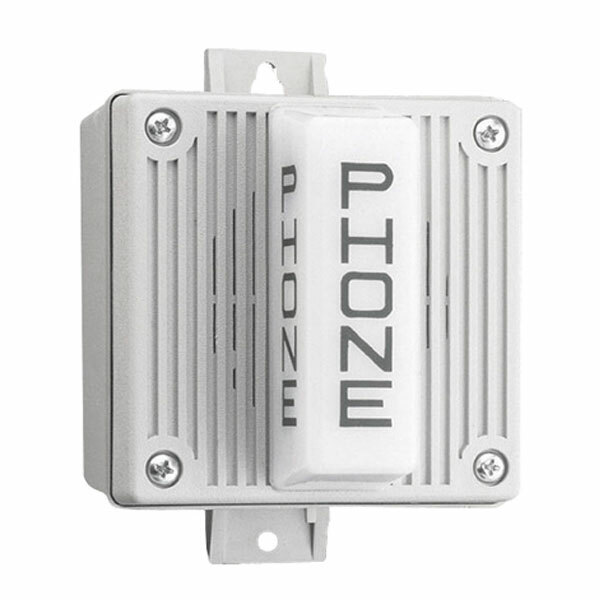 The Wheelock Universal Indoor/Outdoor Telephone Alert with Strobe (UTA-WH-VPS) is a loud (up to 109dB) attention-getting electronic ringer, with a high intensity 15 candela flashing strobe for visual signaling, designed for use in noisy locations or for wide area coverage. It offers a choice of four selectable sound patterns (Horn, Bell, Vibrating Chime or Single Chime) and is equipped with a weather resistant backbox for optional outdoor use with conduit-enclosed wiring. Requires 115 VAC and telephone ring trigger voltage for activation of the strobe and ringer.